The Pennsylvania Supreme Court has granted allocator in the case of Conway v. Cutler, No. 954 MAL 2012 (Pa. Oct. 15, 2013), to address an issue regarding implied warranty claims and remote/subsequent purchasers of newly constructed residential homes. According to Attorney Joe Walsh of the Lansdale, Pennsylvania law firm of Walsh Pancio LLP, an attorney who defends a number of construction defect claims (including cases involving water intrusion issues in home with stucco cladding), this case has great potential ramifications for the building industry and insurers who are still providing defenses under reservation of rights. Attorney Walsh notes that these implied warranty claims are generally at the center of the homeowners’ complaints together with other contract, tort, and UTP claims. 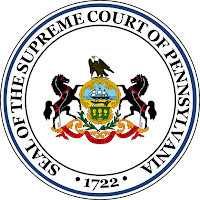 Anyone wishing to review the Pennsylvania Supreme Court Order granting allocator, may click this LINK.